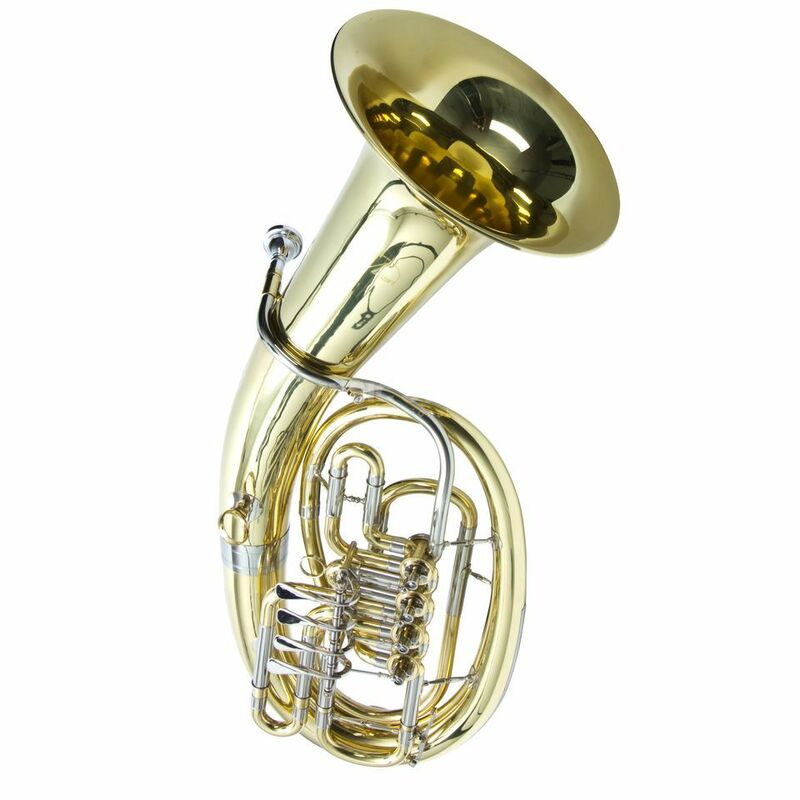 Ideal instrument for the intermediate! The MONZANI MZEP-1170L Bb-Baritone convinces with a rich and mellow sound. The design was revised and comes in a new shiny gleam. The huge bore of the MZEP-1170L is decisive for the voluminous sound. The bigger built bell is made out of brass and cares for a warm sound which spreads through the room. The valves are easy running and help beginner for a smooth handling. The mouthpipe of the MZEP-1170L is made out of robust nickel silver and supports a direct attack point. Included are a robust case and a mouthpipe. I use this instrument in a banda (marching band). It sounds loud and quite good. It is my first Bariton, I don't manage low G and notes below very well. I believe that I am the responsible for that part.